A fairy-tale small white village, Zahara de la Sierra extends a warm welcome to all those seeking some quiet time in absolutely spectacular settings. Zahara is perched on top of a steep rocky hill overlooking the turquoise waters of the Zahara-el Gastor reservoir. 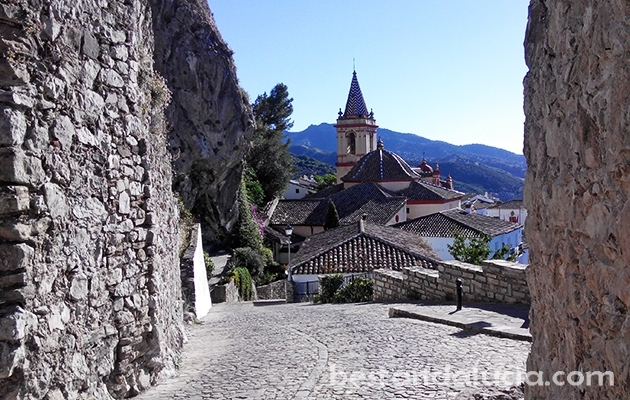 A crumbling old castle, once a major Moorish outpost, towers over the tranquil pueblo blanco. Among the fortress ruins you will find Zahara’s most famous attraction, the lookout tower, the Torre del Homenaje. Zahara lies in the heart of Sierra de Grazalema Naural Park, one of Spain’s most famous and most visited natural parks, renowned for great hiking trails and varied wildlife. 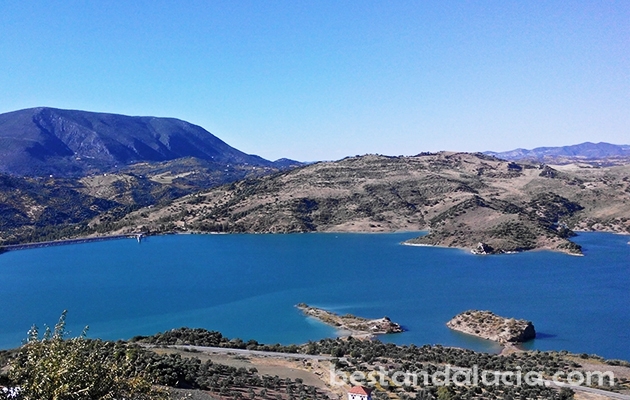 Zahara de la Sierra is one of the best Andalucian destinations for romantic holidays. Also recommended for anyone interested in hiking, exploring nature, or to kayaking enthusiasts! Check helpful tips and different opinions on holidays in Zahara de la Sierra, Spain. 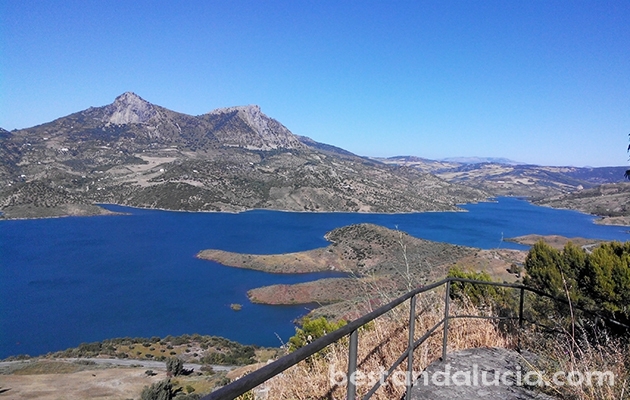 Check out Zahara de la Sierra’s top attractions, recommended places to stay and best things to do. 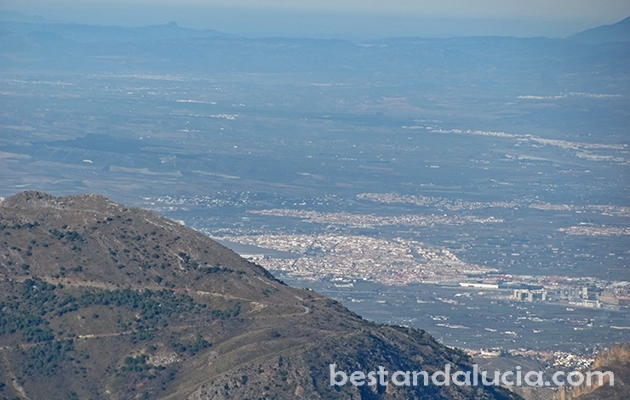 Read about the best restaurants in Zahara de la Sierra, Andalucia. Plan and book your vacations now. 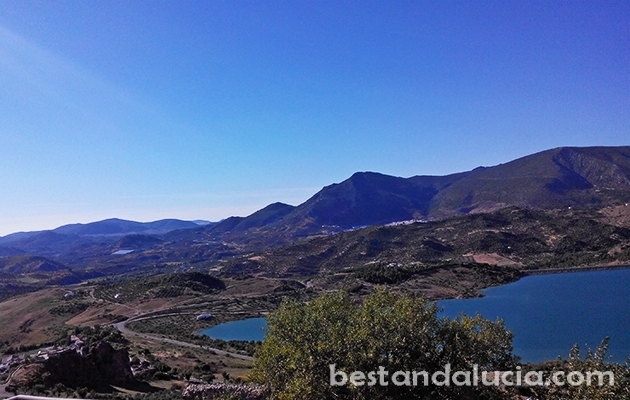 Zahara de la Sierra is a top spot for short romantic holidays. Find and rent apartments, houses and villas for summer holidays in Zahara de la Sierra, Spain. Choose from the best variety of properties. Luxury holiday homes with private pools, sports facilities and more. Enjoy spectacular holidays in Zahara de la Sierra, Andalusia. 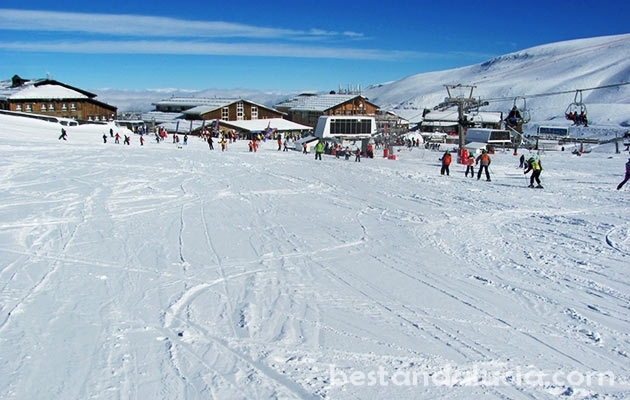 The popular Spanish ski resort Sierra Nevada lies an hour drive from Granada. The 30 km long road to Sierra climbs to 10,000 feet to arrive at the sunny Pradollano which lies at the foot of the slopes. 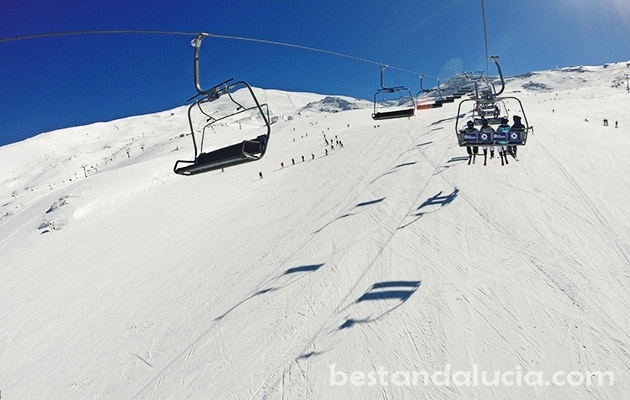 Here, the lovers of snow can take advantage of more than 45 km of pistes on Valeta, the second highest mountain in Spain. The skiing conditions of varied. Blue and red runs dominate and there are some green and black runs as well. 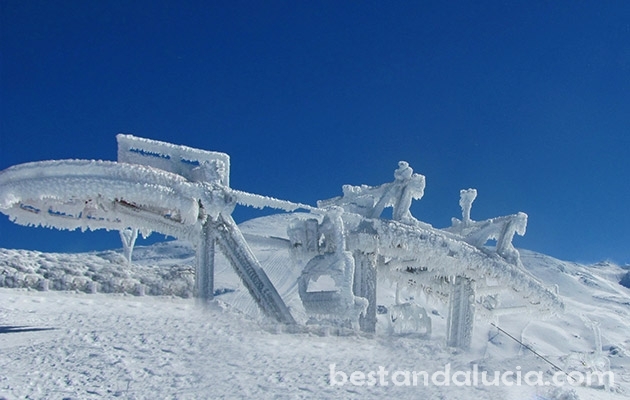 There are two major gondola lifts and around 15 chair lifts. On a sunny day, Velta or the nearby Mulhacen, the highest mountain in Spain, allows its visitors an amazing panoramic view of Africa! 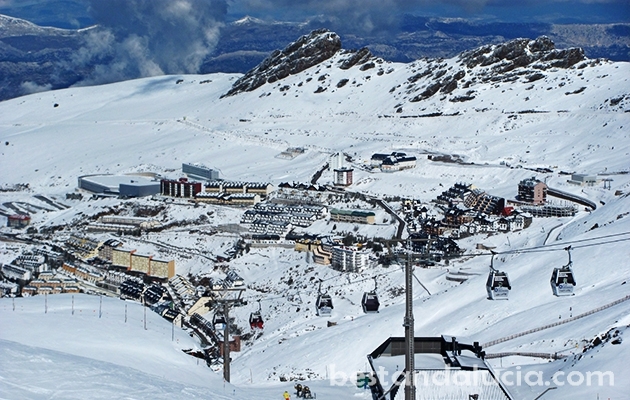 Sierra Nevada is the sunniest ski resort in Europe, the first one in Spain to start the skiing season with snow to be found there as early as late November and as late as early May. 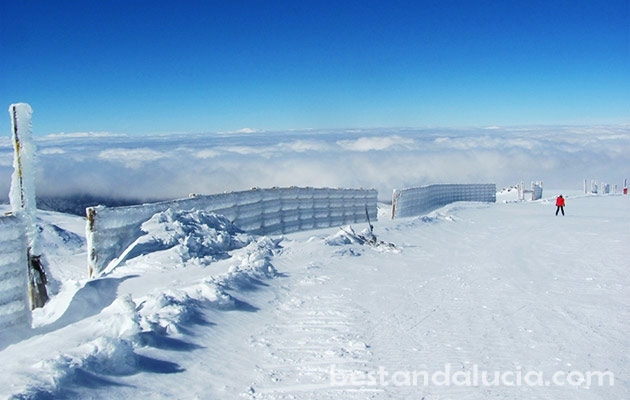 The popular ‘Costa del Snow’ boasts Sulayr Snowpark where as many as 110 different ramps and rails can be found. 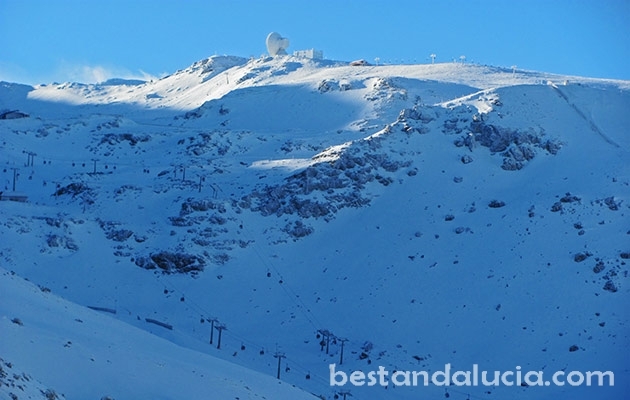 Sierra Nevada is a top holiday destination in the winter season! Try to avoid Christmas time, Semana Santa and school holidays when the place can get crowdy. When the snow melts down, Sierra Nevada becomes very popular among hikers. The beautiful scenery of hillsides, pine forests and river valleys as if from a fairly tale quickly rewards all the hiking effort. Quite recently, Sierra Nevada National Park was added to an elite worldwide list of protected reserves. In summer, Sierra Nevada becomes a magnet for enthusiastic mountain bikers from all over Spain. Remote pine forests, barren rocky peaks provide varied conditions for all kinds of needs – all mountain, enduro, or cross country. The Sierra Nevada Bike Park is a top choice for mountain bikers. Jump into Telecabina Borreguiles with your bike and in a few minutes you will be at the top of the mountain. If you are looking for spectacular mountain biking holidays, come to Sierra Nevada ‘ in June, July or August. Find all the practical information, helpful tips and opinions on holidays in Sierra Nevada, Spain. 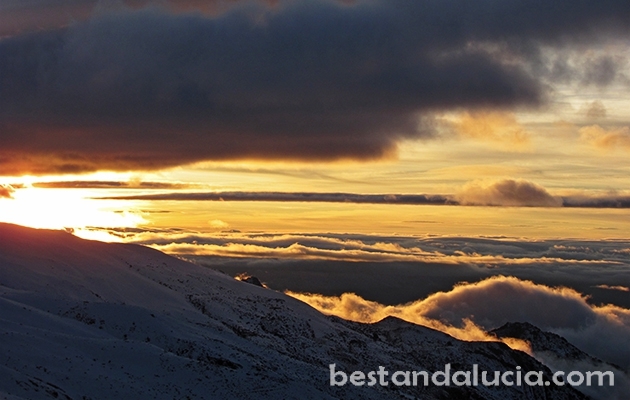 Check out Sierra Nevada’s top attractions, recommended places to stay and best things to do. Read about the best restaurants and bars in Sierra Nevada, Andalucia. Plan and book your vacations today with Best Andalucia guide. 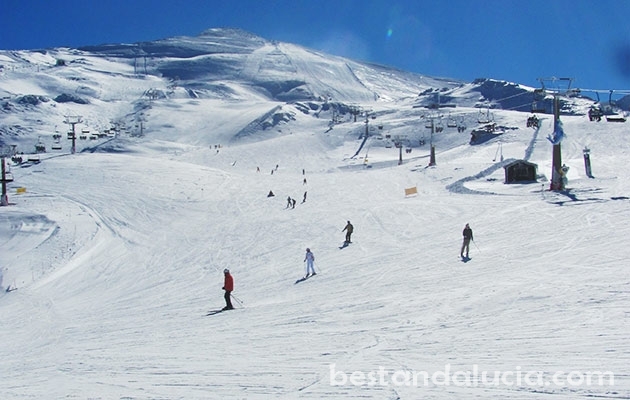 Sierra Nevada can be a perfect place for active family holidays in winter season. 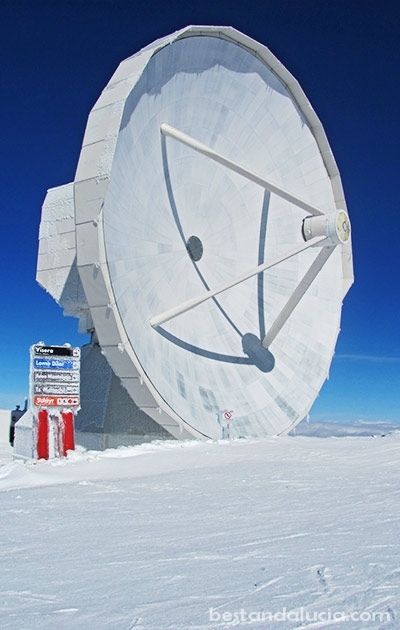 Find and book top hotels in Sierra Nevada, Spain. 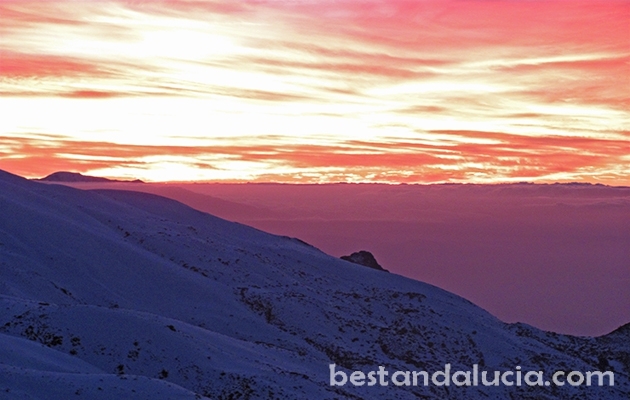 Check hotels in Sierra Nevada in Andalucia offering good value for money. Pick the hotel that best suits you and your budget. 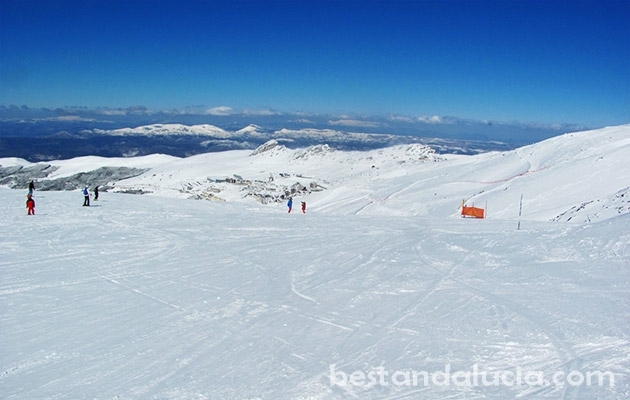 Find and rent apartments, houses and villas for winter and summer holidays in Sierra Nevada, Spain. Choose from the best variety of properties. Luxury holiday homes with private pools, sports facilities and more. 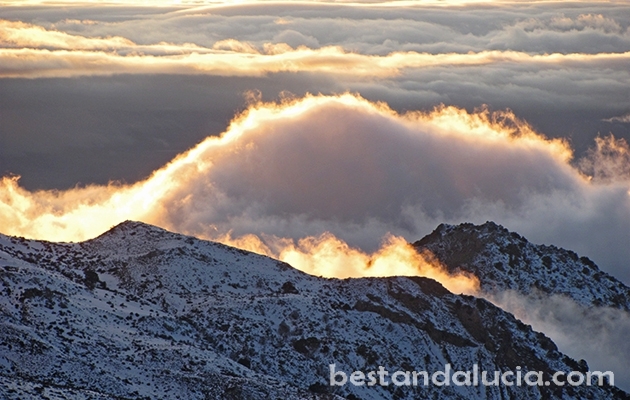 Enjoy spectacular break in Sierra Nevada, Andalusia.